​Commonwheel Artists Co-op offers a unique opportunity to visual artists in our gallery space. 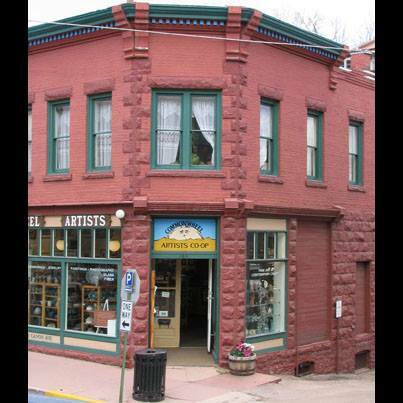 Our mission is to “encourage both members and visiting artists by providing a venue for the exhibition and sale of their work in the Pikes Peak Region.” As part of this mission we solicit show submissions from both outside and within of our co-op membership. Each gallery show brings its own audience and makes customers more aware of Commonwheel and the local artists whose work we exhibit. ​We encourage our Gallery Artists to create new work for their shows. New work inspires the artist, and offers opportunity to explore new areas of your medium, or a different medium. Often the outcome from such explorations informs the artist’s routine work with new direction or insights. We open this application process once a year to invite artists to propose concepts for gallery shows or to represent their own work in our gallery space. Submission from this application process are considered as we put together our gallery show schedule for the coming calendar year. Application Deadline was July 01, 2018. Applications for 2020 Gallery Shows will be available in May 2019.